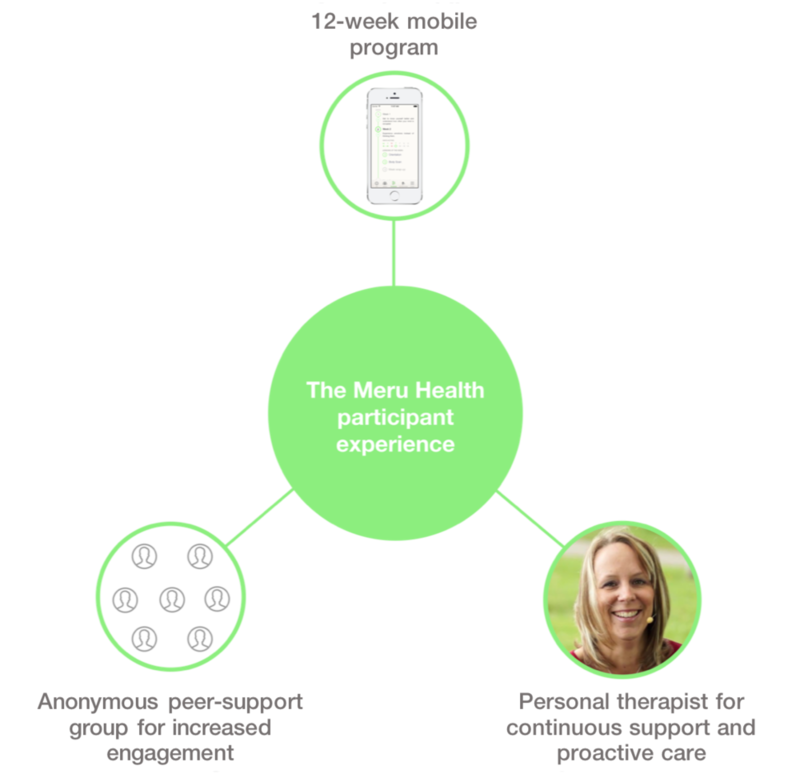 Meru Health offers an 12-week mobile program for treating the symptoms of depression and anxiety through your smartphone. The purpose of the program is to teach skills that improve mental wellbeing. The program is based on widely used therapy forms, which are proven to be effective, Cognitive Behavioural Therapy, Mindfulness and behaviour activation. NOTE: Your information will only be shared with a licensed Meru Health Therapist. You will start the 12-week Meru Health -program. You will get active support from your personal Meru Health -therapist as well as an anonymous peer support group. This group consists of other participants like you but it is fully anonymous (people present themselves as avatars & nick names in the here).